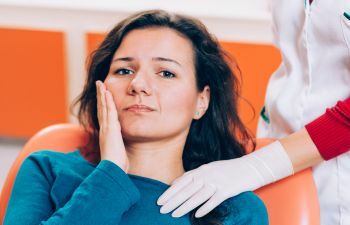 Your oral health is a huge indicator of the state of your general health, which is why any time changes or concerns arise within your mouth they should be brought to your dentist’s attention. 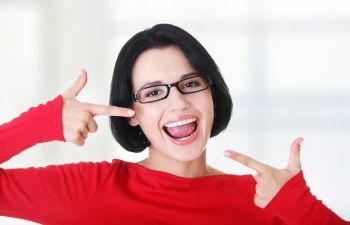 Gum recession is one of the most common issues that affect the mouth, yet it is also one of the most overlooked. The truth is, gum recession can be a mild issue – but only if it is caught quickly and early intervention is given. If gum recession is ignored, it can become a serious issue and compromise the health of the entire mouth. Gum tissues are vital to your oral health because they have two primary jobs: they help stabilize the teeth so that they securely fit in the jaw bone, and they protect the roots and nerve fibers of the teeth. Each tooth within the mouth is an individual living feature, made up of tiny blood vessels and nerve fibers that supply its life. Any time these nerves and roots of the teeth are exposed, pain and discomfort will be felt. 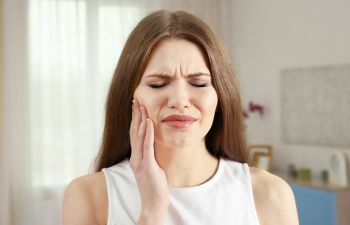 Temperature exposure from hot and cold foods and beverages, biting pressure, and even sucking in air can cause the nerves to react in pain. 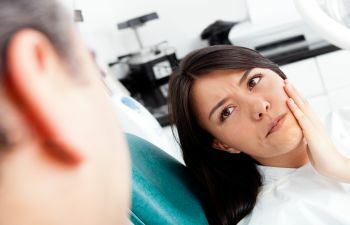 Tooth sensitivity is usually the first sign that gum recession is an issue within the mouth, alerting you that something is wrong and needs to be evaluated. Over-aggressive brushing. Brushing the teeth with too much force damages the gums and causes them to pull away from the teeth. Not flossing. Dental floss is the only tool designed to scrape away bacteria-laden plaque from the gum line. Plaque builds up on the teeth each day, leaving the gums susceptible to damage. Gum disease. The result of damage caused by bacteria is gum disease. Gum disease can cause irreversible damage to the gums and tooth loss. Genetics. Patients who have a family history of gum disease are more prone to experience gum recession. Hormone changes. Fluctuations in hormones cause the gums to become easily irritated and infected. Women are more vulnerable to gum disease because of the huge hormone changes they experience throughout their lives. Crooked teeth. Straight teeth are easier to clean. Teeth that are rigid and misaligned leave spaces that are difficult to reach with a toothbrush and floss. 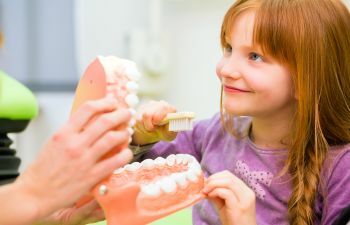 At Muccioli Dental, we are concerned with all areas of your oral health. Please contact us if you have any signs or symptoms related to gum recession.